In Microsoft Excel, new features are sparklines and slicers, and improvements to PivotTables and other existing features, can help us to discover patterns or trends in the data. 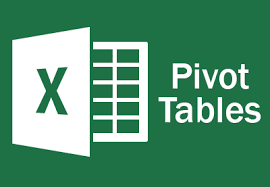 In the previous post we had a look at the Sparklines and slicers features of Excel 2010 and Pivot table features of excel 2010, so now we will look at the improved pivot table feature of excel 2010. Conditional formatting makes it easy to emphasize important cells or ranges of cells, highlight unusual values, and visualize data by using data bars, color scales, and icon sets. Excel 2010 includes further more formatting flexibility. New icon sets: In Excel, we can access to more icon sets, including triangles, stars, and boxes. We can also mix and match icons from different sets and more easily hide icons. For example, we might choose to display icons only for high profit values and remove them for middle and lower values. More options for data bars: Excel 2010 comes with new formatting options for data bars. You can apply solid fills or borders to the data bar, or set the bar direction from right-to-left instead of left-to-right. Not only that, data bars for negative values appear on the opposite side of an axis from positive values. If you would like to learn more about these new features of Microsoft Excel 2010 or 2013, or would like to attend the Microsoft Excel Training, do contact us at Intellisoft Systems. If you have any further questions then contact us through email training@intellisoft.com.sg or call at +65 6296-2995!!! Trainer: Vinai teaches Advanced Excel Techniques, Dashboard Techniques using Excel, Data Interpretation and Analysis Training courses at Intellisoft. He has trained over 5000 students in over 18 countries, and regularly conducts Excel Workshops in Singapore, Malaysia, Indonesia, Australia, India, Dubai, Egypt, Zimbabwe, South Africa etc. One simple way to reduce worksheet crowding is to rotate your column labels so that they read up, down, or vertically. Then Click the Commands tab. Under Commands, find the Vertical Text button and drag it into place on your Formatting toolbar. In Microsoft Excel, some of the new features are sparklines and slicers, and improvements to PivotTables and other existing features, can help us to discover patterns or trends in the data. To get started with the features of Excel, first we will look at the details of the Sparklines and slicers features of Excel. Sparklines are tiny charts that is used to fit in a cell to visually summarize trends beside the data. Since sparklines show trends occupies less space, they are exclusively useful for dashboards and other places where we need to show a glimpse of the business in an simple practical visual format. In the image to the left, the sparklines that appear in the Trend column lets us have a quick look of the performance of each department in the month of May. Slicers are visual controls. They let us quickly refine data in a PivotTable in an interactive, automatic manner. If we insert a slicer, we can use buttons to quickly segment and refine the data to display appropriate results. Not only that, when we apply more than one filter to the PivotTable, we no longer have to open a list to see which filters are enforced to the data. Rather, it is displayed on the screen in the slicer. We can make slicers relate to the workbook formatting and easily reuse them in other PivotTables & PivotCharts. If you would like to learn more about these new features of Microsoft Excel 2010 or 2013, or would like to attend the Advanced Microsoft Excel Training, do contact us at Intellisoft Systems. Trainer: We have certified trainers who excel in imparting their knowledge and are very patient. Master Trainer Vinai teaches Advanced Excel Techniques, Dashboard Techniques using Excel, Data Interpretation and Analysis Training courses at Intellisoft. He has trained over 5000 students in over 18 countries, and regularly conducts Excel Workshops in Singapore, Malaysia, Indonesia, Australia, India, Dubai, Egypt, Zimbabwe, South Africa etc. In Microsoft Excel , new features are sparklines and slicers, and improvements to Pivot Tables and other existing features, can help us to discover patterns or trends in the data. In the previous post we had a look at the Sparklines and Slicers features of Excel 2010 so now we will look at the improved pivot table feature of excel. Performance enhancements: In Excel, Multi-threading helps advanced sorting, data retrieval and filtering in Pivot Tables. Write-back support: In Excel, we can update values in the OLAP PivotTable Values area and then transferred to the Analysis Services cube on the OLAP server. We can use the write-back feature in what-if mode and then roll back the changes when we no longer need them, or we can save the changes. We can use the write-back feature with any OLAP provider that supports the UPDATE CUBE statement. Enhanced filtering: We can use slicers to quickly het the reqiured data in a PivotTable and see which filters are applied without having to open additional menus. In addition, the filter interface includes a handy search box that can help us to find what we need among potentially thousands (or even millions) of items in the PivotTables. Pivot Table labels: We can add labels in a Pivot Table and also replicate them in the Pivot Tables. This will help us to display item captions of nested fields in all rows and columns. PivotChart enhancements: It has made things easy to interact with PivotChart reports. Specifically, it’s easier to get the required data directly in a PivotChart and to reorganize the layout of a PivotChart by adding and deleting fields. Similarly, we can hide all field buttons on the PivotChart report. Show Values As feature: The ‘show values as’ feature includes a number of new, automatic calculations, such as % of Parent Row Total, % of Parent Column Total, % of Parent Total, % Running Total, Rank Smallest to Largest, and Rank Largest to Smallest. If you have any further questions then contact us through email training@intellisoft.com.sg Systems or call at +65 62962995!!! It is much easier to type in Excel when you see the grid lines to demark lines & columns. 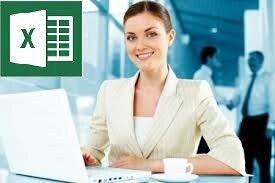 However if you print your beautiful Excel file, it may not seem easy to read, because the lines that separate the rows and columns are not printed by default.Now there has always been a way to get the grid lines to print, since Excel 2000, and it is still available in Microsoft Excel 2003 in the same place. 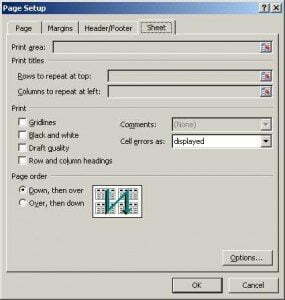 In Excel 2007, you have many ways to get to the Print Grid lines option. You will see a popup box come up. Click on the 4th tab and select Sheet. You should see something like this screen shot below. As you can see, there is a checkbox which says – Gridlines in the Print section. Select the Checkbox, and then click OK.
You will see tiny gridlines appear on the screen. Now when you print the sheet, you will see gridlines being printed, and it is much easier to view the figures on the printed sheet with gridlines printed. In Microsoft Excel, some of the new features are sparklines and slicers, and improvements to PivotTables and other existing features, can help us to discover patterns or trends in the data. To get started with the features of Excel 2010, first we will look at the details of the Sparklines and slicers features of Excel.